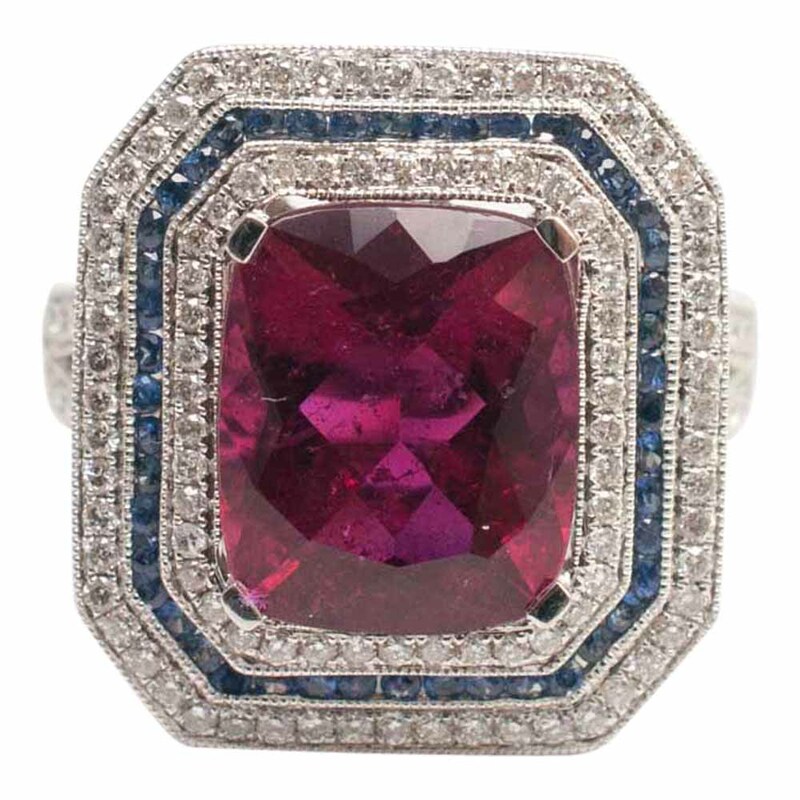 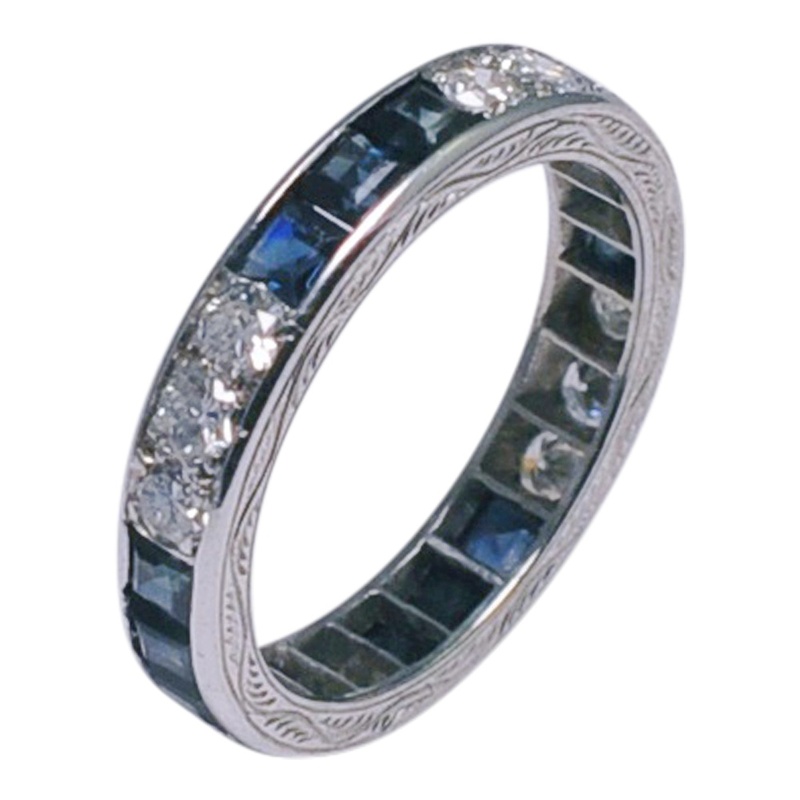 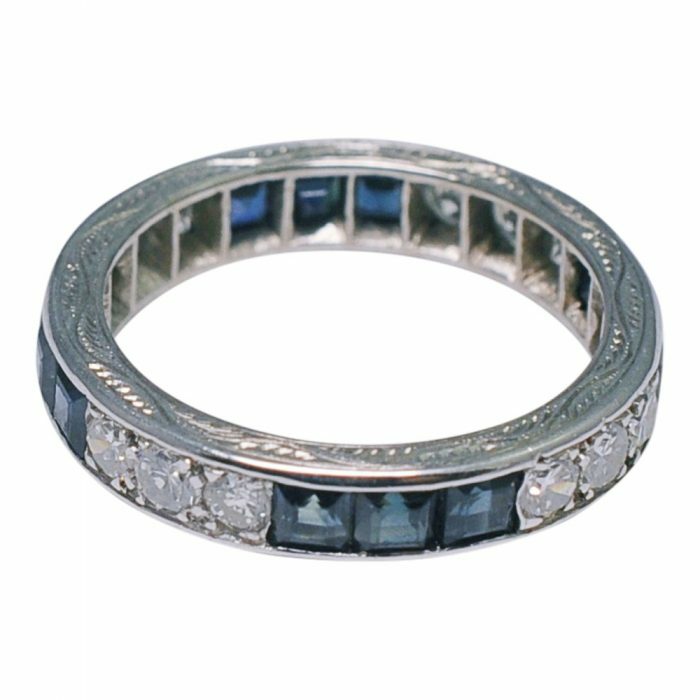 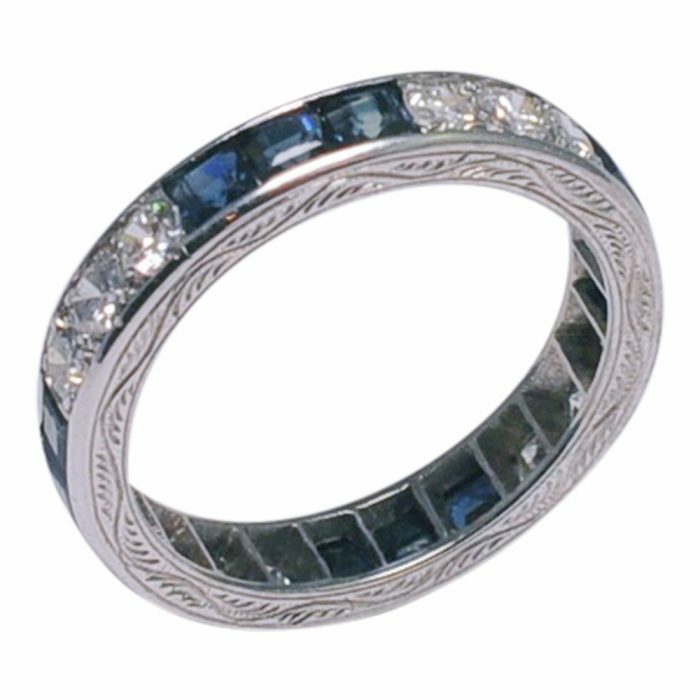 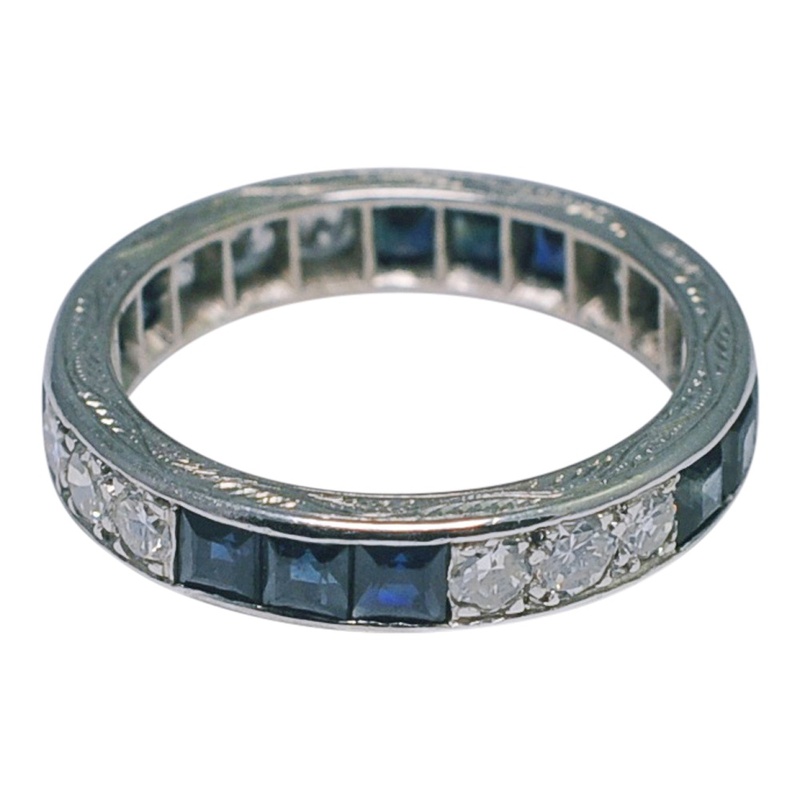 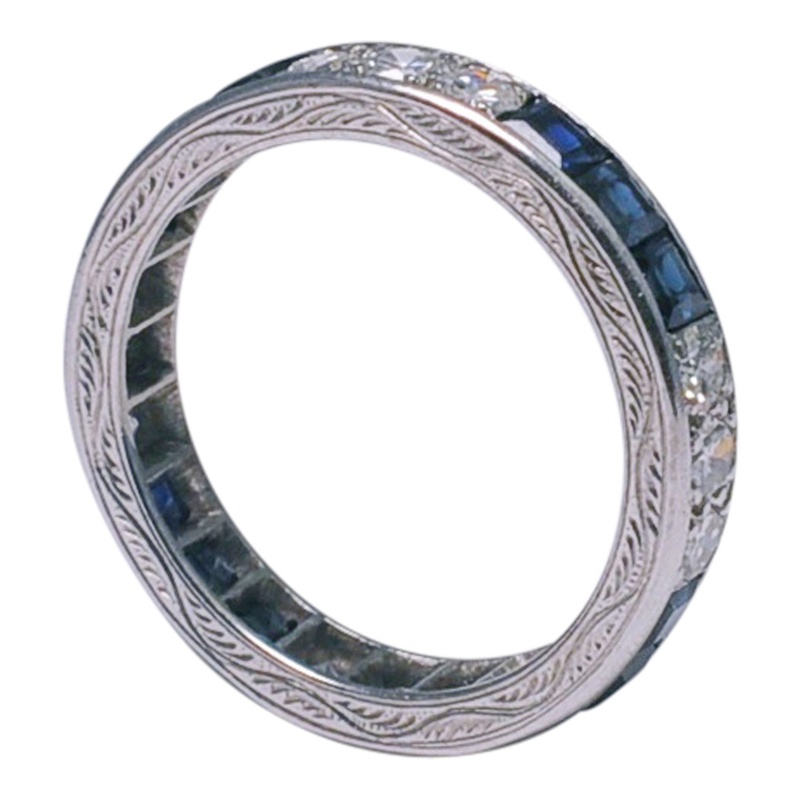 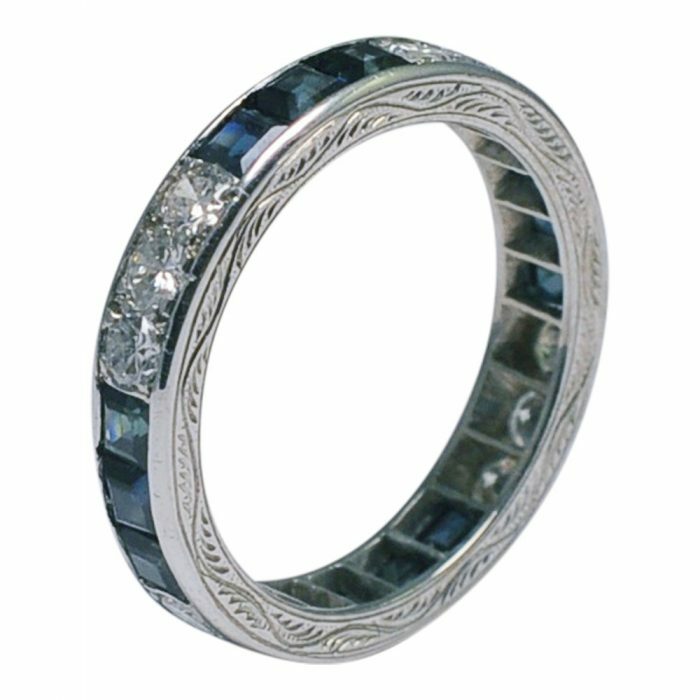 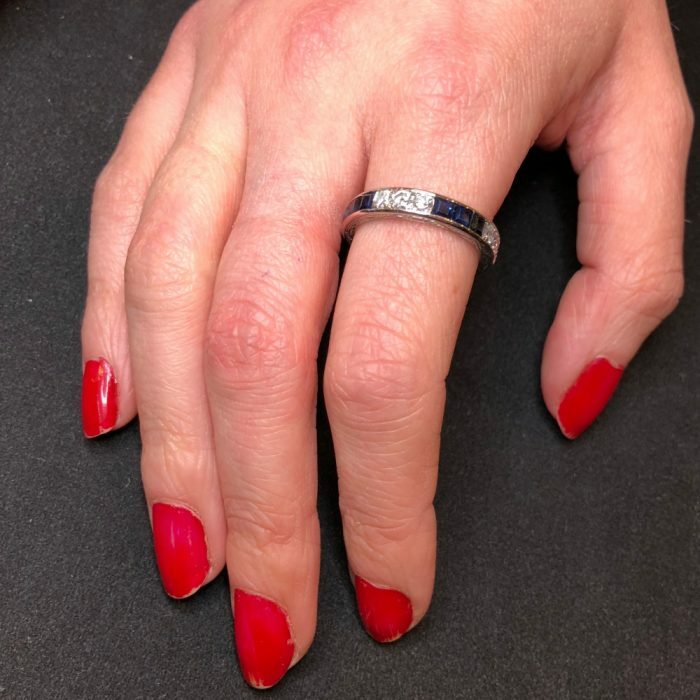 Art Deco sapphire and diamond eternity ring; the square cut sapphires weigh 2.40ct, the transitional cut diamonds weigh 1.20ct. 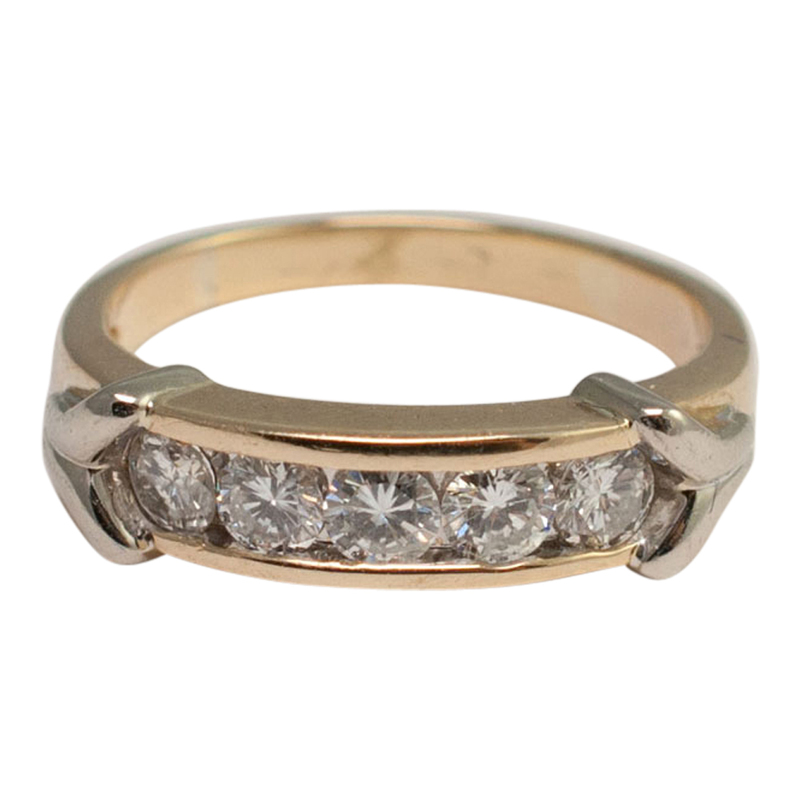 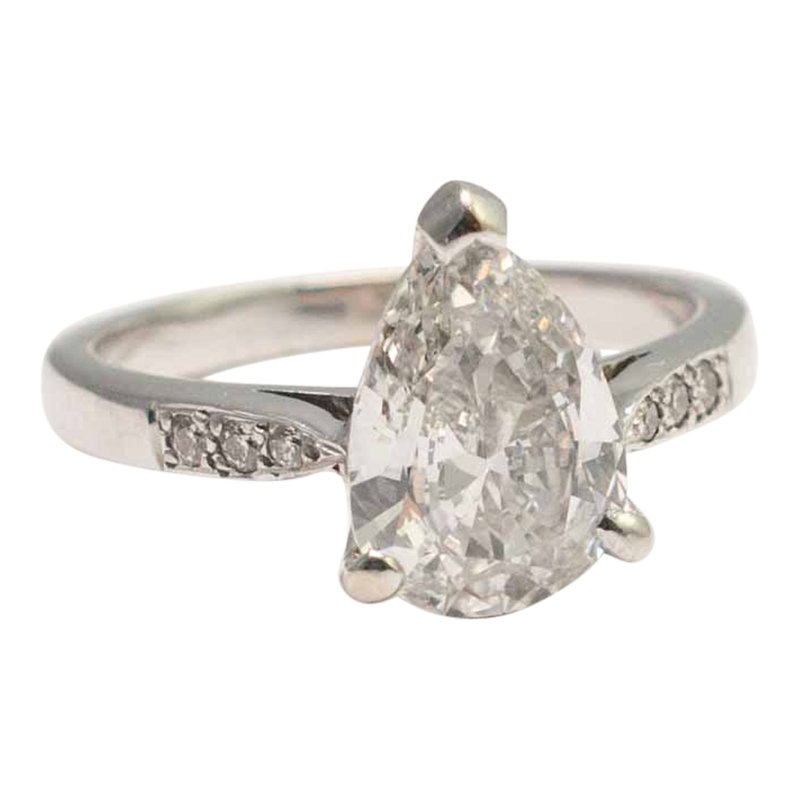 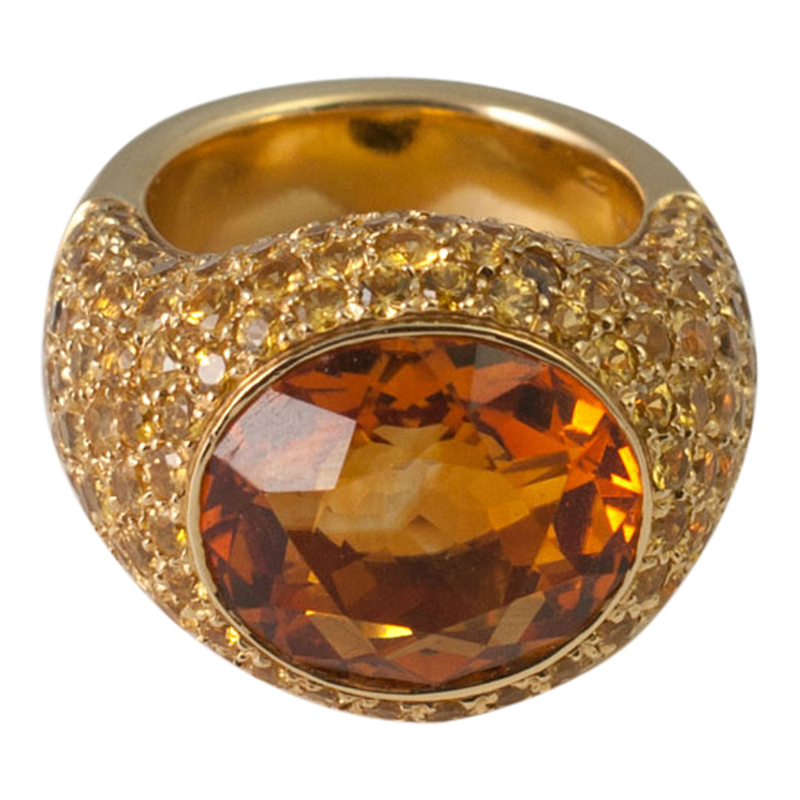 The ring tests as 18ct gold and is ornately engraved on the top and base. 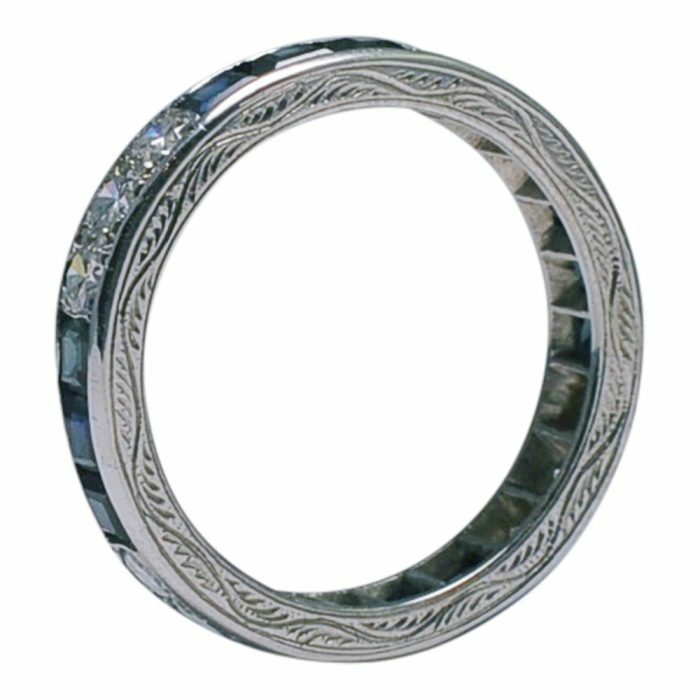 Weight 4.6gms. Depth 4mm . C.1930. Finger size O1/2 (UK), 7.5 (US), 56 (French), 18 (Italian). 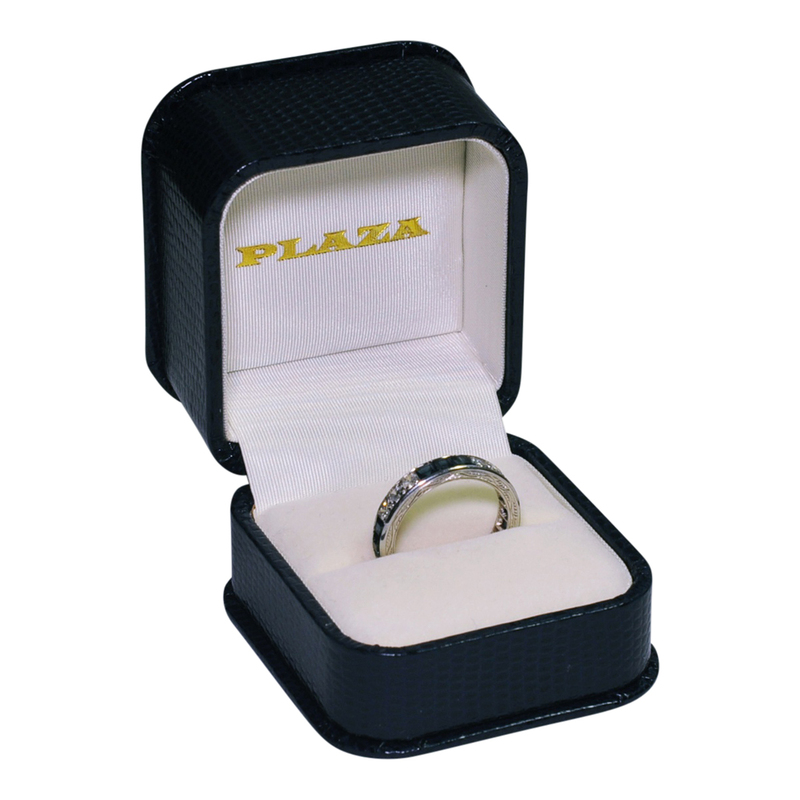 The ring is in good condition with wear consistant with age.